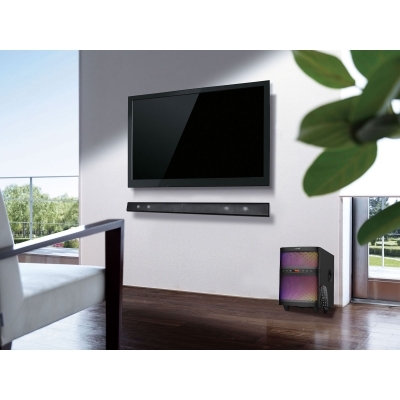 LuguLake 2.1 channel speaker system: it can be stalled as TV soundbar, or computer speaker/floorstand speaker system to fit for your different design need. 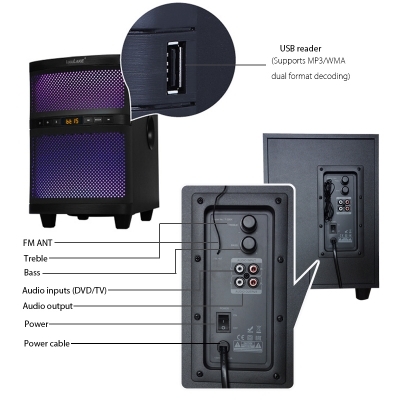 Support mode: FM radio from 87.5-108 MHz, USB flash driver, RCA/AUX in, Bluetooth connection. LED transferring light of 5 different colors to light your room and delight your viewing. 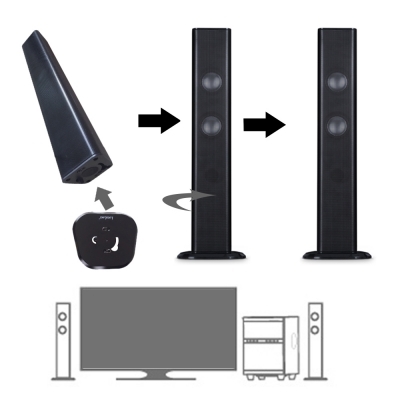 package contents: 2'' speaker*2 (L+R), 8'' subwoofer*1, Remote control*1 Floor stand*2, RCA cable, 3.5mm-to-RCA. One year warranty, lifetime free tech-support. 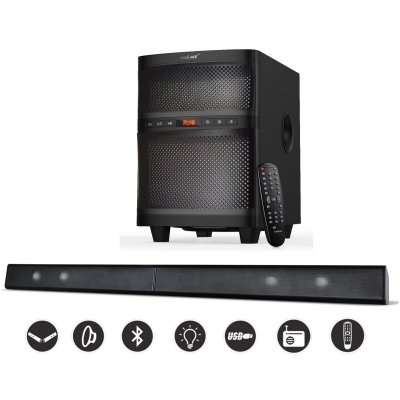 LuguLake TV BAR, can be easily assembled into TV soundbar , computer speaker, and floorstand speaker within few steps. 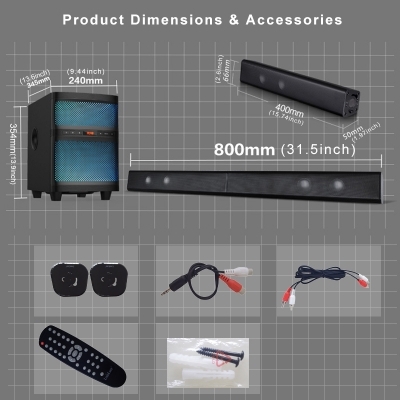 LuguLake TV BAR helps fulfill your living room or reading room for your different design need. 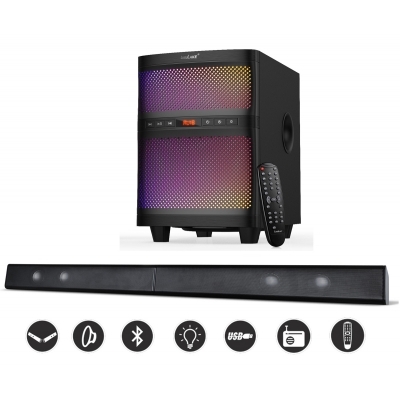 BT 4.0 enabled, supports wireless connection with all kind of smart phones, pads, tablets, other Bluetooth enabled devices. 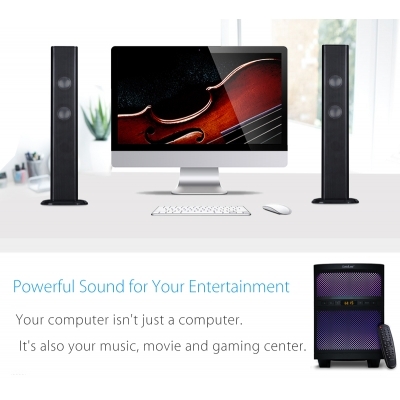 FM radio, supports switching from 87.5-108 MHz to enjoy your favorite radio station. RCA/AUX/3.5mm-to-RCA cable connection, supports any devices with RCA port or 3.5mm port. USB connection, supports music stored in USB memory flash driver. 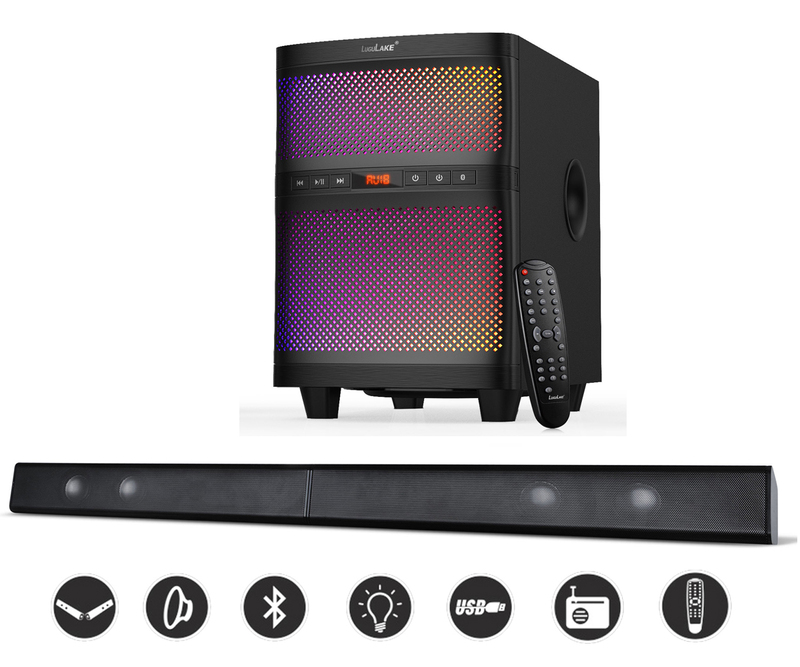 LuguLake TV Bar, with 5-color LED lights, is definitely a nice decoration in the house. One year warranty, and lifttime free easy-to-touch technical support.